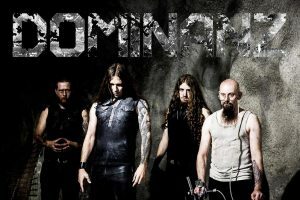 Considering that Norway is the country of black metal (alongside fjords) and that Dominanz are from Bergen, it’s hardly surprising that the genre feels like home. What may be more unusual, however, is that it has taken 10 years for the band to develop a close relationship with the frosty northern arts. Early dalliances with industrial metal and multifarious other elements appear to have crystallized into the sinister blackened lurch of Let the Death Enter. 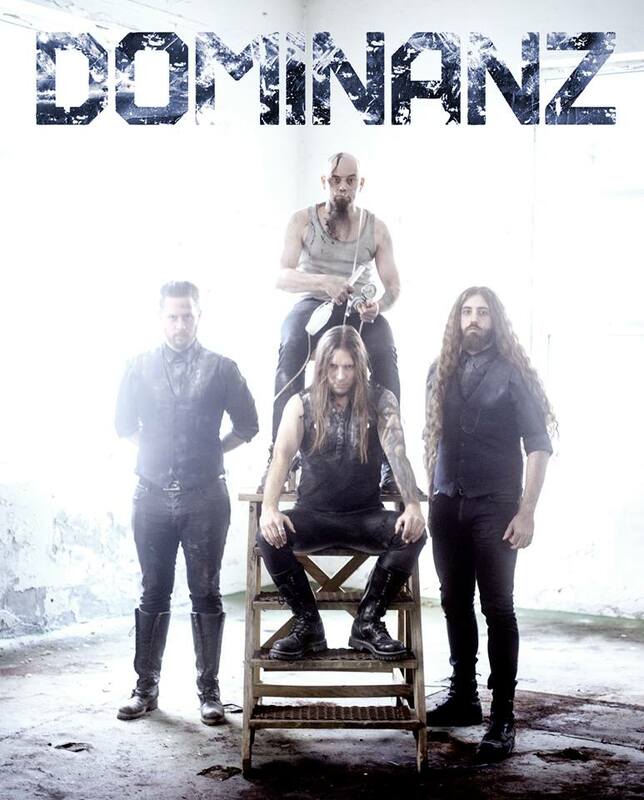 Dominanz may still sound much less conservative than other black metal acts, as well as maintaining that worrying ‘z’ in their name, but four and a half years since Noxious, the band seems much closer to orthodoxy than ever before. Beginning from a point of easiest reference, one might like to think of Immortal’s strident black metal at any point from At the Heart of Winter onwards. In that comparison, throw away all the fast moments and allow for the fact that Abbath’s rasp was more like a frog, whereas Roy Mathisen sounds more like a sedated man giving birth. He sounds in pain, just not urgently so. Something drugged and unnatural also attends the progress of the songs, somewhat like Satyricon managed to do with the title track of Volcano, which featured minor electronic elements alongside oddities such as clean female vocals. Satyricon’s “With Ravenous Hunger” may well have been the template for some of the cuts on Let the Death Enter, the black metal coldness coming more from the dissonance and restraint of the riffing than any icy flurries of tremolos and blastbeats. The resulting sound is thus more textured and diverse than those other names, while also hinting at a different kind of minimalism from the way that a vast emptiness seems to lurk behind the out of focus riffs and vocals. 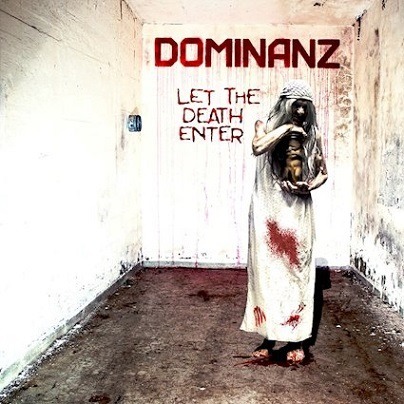 Of greatest importance in comprehending Dominanz’s latest effort is the knowledge that this album aims for atmosphere at the cost of impact. The group’s 2011 debut As I Shine kicked off with a surprisingly powerful industrial riff in the form of “Infinity”, yet moments like the forceful reintroduction of the stomp in “Echoes from the Moment of Death” are rare. Most of the songs ebb by at a steady slow mid-pace, gradually wrapping the listener in a shroud of polluted feelings and grim suspicions capably summed up by titles such as “Born with Desires” and “Death Is Watching You”. The griminess of Let the Death Enter thus still lurks in other realms than black metal, allowing keys and samples to drift about in the stagnant realms of several tracks, notably “Code of Silence” and its offshoot interlude “Occidere Credentis”. A child’s voice declaiming religious obedience stamps the former with all the nastiness a song about church molestation deserves, while the minor track has the samples and hammy pomp of a Rob Zombie creation. Nevertheless, distinct feelings of listening to Naglfar or late ‘00s Dimmu Borgir arise on the suitably titled “Lucifer”. Due to the album’s priorities, listeners are not guaranteed to feel satisfied at its end. For all their slowness and menace, the 10 songs do not wield any great degree of power, nor does the subtlety quite venture deep enough to shine a light on the subliminal thoughts that the music is bound to stir up. A rather flat mix puts nothing to the fore: not Mathisen’s vocals, not riffs or drumming, not solos, which prove almost non-existent. Grabbing attention thus proves beyond the majority of the release, vigorous statements like “Ruins of Destruction” opening in ubiquitous black metal style pointing to the conclusion that Dominanz’s policy of understatement and stealth is at heart a flawed one, or at least stands to be executed better. As mood music, Let the Death Enter performs competently; as mildly experimental black metal, it carves a certain niche for itself; as a third album from an established group, it flounders a little without truly disappointing. 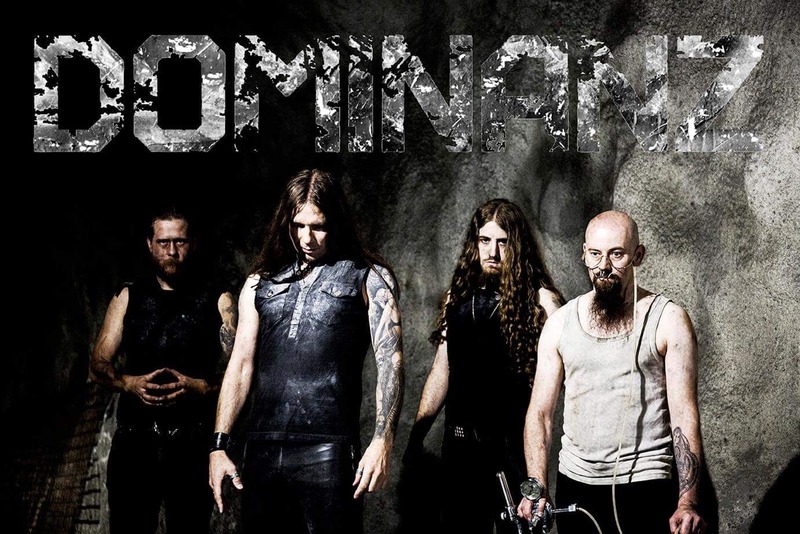 This entry was posted in Black Metal, Reviews and tagged 2019, black metal, Dimmu Borgir, Dominanz, experimental, immortal, industrial, industrial black metal, let the death enter, mid-paced, Naglfar, roy mathisen, Satyricon, slow, volcano.